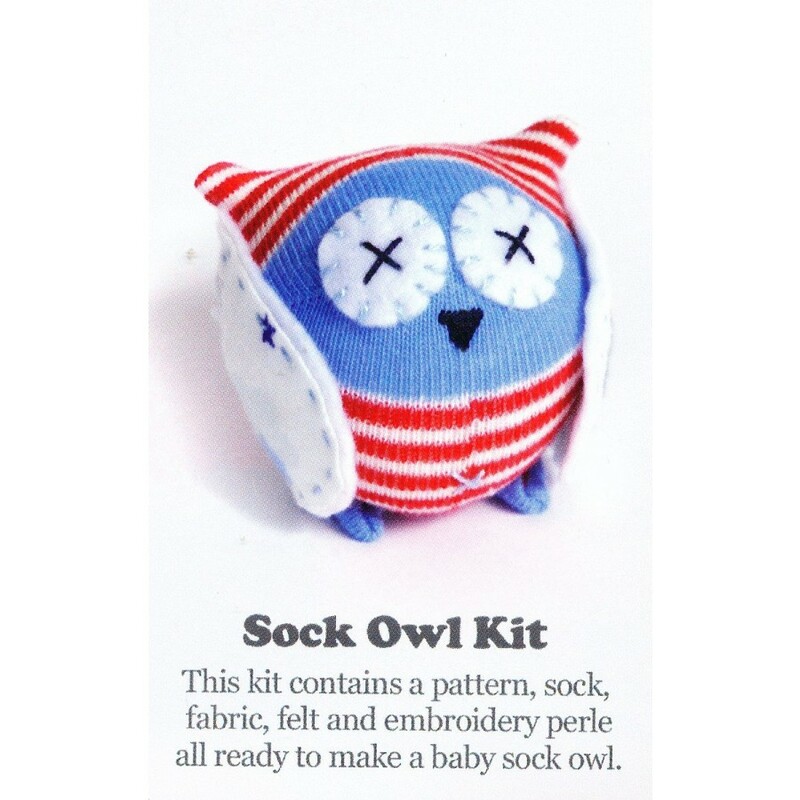 This beautiful kit contains everything you need to make a baby size sock owl! Contents include: Pattern, cotton sock, fabric, felt, & embroidery perle. The pattern is very easy to follow for beginners and experienced crafters alike. Sock toys can be hand or machine stitched. All you need is some toy stuffing, scissors, a needle and thread and you're away. Colour Blue & red as appears in image. Note Once you make one you will be addicted!